There is a lot of talk regarding this tournament, with players and poker fans wanting to know all of the details, as well as speculating on the overall field-size, future of the tournament, and what this tournament may do to poker going forward. How many players will enter? With this many players already known it seems reasonable to believe the event will come near or reach the 48-player cap set. Will this be a recurring event at the WSOP? 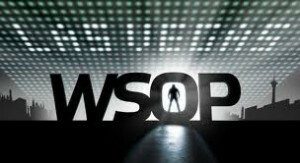 The WSOP hasn’t ruled out any possibility when it comes to the $1,000,000 One Drop tournament being played at future WSOP’s. Anything from a yearly, to a bi-yearly, to every four years has been kicked around, but in the end they want to wait and see how the inaugural event goes before making any long-term commitments. My guess is that after the WSOP the people whose opinions matter will sit down and decide to make the One Drop event (or something similar) a once every four or five years occurrence. Although I fully expect to see a $100k event added to the WSOP schedule next year. What kind of exposure will the winner receive? The question I’m curious about is whether or not the winner of the One Drop tournament overshadows the Main Event? With the richest prize in poker history expected to be handed out to the One Drop winner, coupled with the remarkable bu0-in and the charity aspect of the event, it’s a real possibility that the 2012 WSOP Main Event winner gets overshadowed. This entry was posted on Saturday, May 26th, 2012 at 1:32 pm and is filed under Poker News. You can follow any responses to this entry through the RSS 2.0 feed. You can leave a response, or trackback from your own site. Curious as to viewing the event. Will there be “friends and family” type seating available? Anything special for the 3 different days? Don Bright (Bob Bright is entrant).